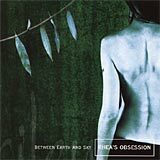 A re-issue of the long out of print 1996 debut of Rhea's Obsession. Totally remastered, plus six new tracks not found on the original disc. On Metropolis Records.